Hilarious, but ultimately not that useful in a battle situation. Image via thiswastv. There’s trouble in the trenches, people. Yes, the feminist frontline is once again in full mud flinging flow after an article in Tuesday’s Guardian posited that while a humourous approach to battle was much more fun for all involved (including the patriarchy, shudder), lately everyone’s too busy standing around making cracks to care about gaining ground. Anger is apparently what we need. Anger and bile to propel us through the swamp of No WoMan’s Land to that mythical place we call Equality. 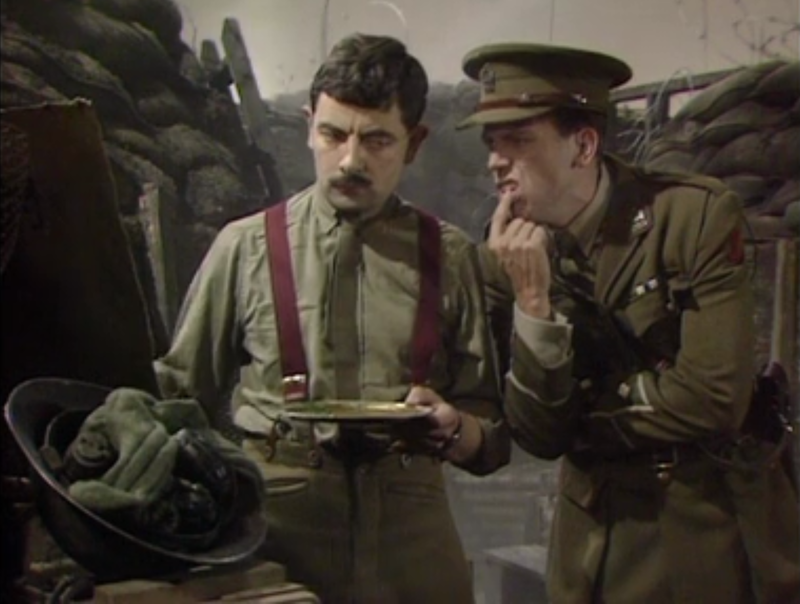 Apart from all the noise and mess, which does rather distract from matters of more significance, if we keep focusing our energy on tactics, uniforms, personnel and equipment, we’re going to be bloody knackered by the time we do haul ourselves over the top. Consensus is the most effective weapon we have – a blunderbuss to blast away the divide and conquer mentality that has made women judging and competing with one another over hair, clothes and make-up in civvie life the norm. Right now it sits, forgotten in the corner and until we stop arguing long enough to take a look around, it’ll stay there. Along with the women not fortunate enough to have a voice. ← Jennifer Lawrence: Tripping The Light. Fantastic.